Finally Apple launches iPad mini tablets in India. Now iPad mini available in apple authorized reseller in India for starting price of Rs. 21,900. Apple authorized Indian reseller iStoreIndia tweeted below tweet about availability of iPad mini in India. Get set for the whole package in a smaller package! Get ready for the iPad Mini. Only @istoreindia from 7th December on-wards! iPad mini has the all features as in iPad but the size only variants. iPad mini comes with 7.9 inch multi-touch LED display, Face Time HD camera and iSight camera with 1080p HD video recording feature. It equipped with A5 Dual core processor that delivers better web performance. iPad mini supports wireless connectivity like WiFi and Bluetooth. And also users can use over 275,000 iPad apps from Apple App Store. Apple launched iPad mini tablets in India after iTunes store launched last week. The iPad mini available in three versions in India. The 16 GB WiFi only version pricing for Rs. 21,900, while 32 GB and 64 GB version costs Rs. 27,900 and Rs. 33,900. The iPad mini WiFi + Cellular version costs Rs. 29,900 for 16 GB version, and the 32 GB and 64 GB costs Rs. 35,900 and Rs 41,900. 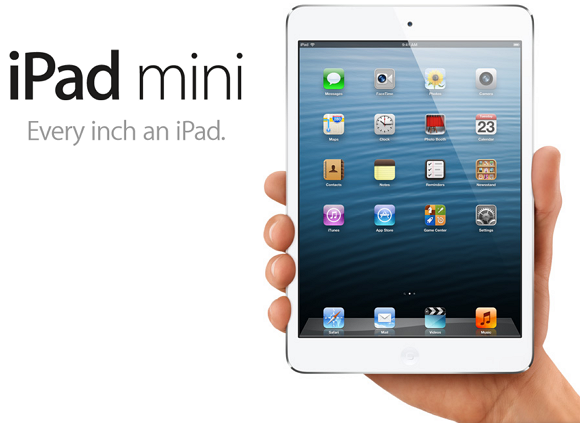 Apple iPad mini now available in authorized stored in India. Click here to find the nearest authorized store of you.